Can Tech Laser and metals Inc. laser cutting service provides a fast, flexible and economical means of precision sheet metal cutting and plate profiling. The benefits of laser cutting metal are its flexibility, economy and rapid turn round. Laser profiling offers supreme flexibility, handling profiles from the simplest of components to shapes of almost limitless complexity – it is suitable for both pre-production samples and production batches. This ability to laser cut complex profiles can eliminate the need for additional operations. The narrow laser cut width, zero clamping strip and computer-assisted part nesting allows maximum material utilisation. 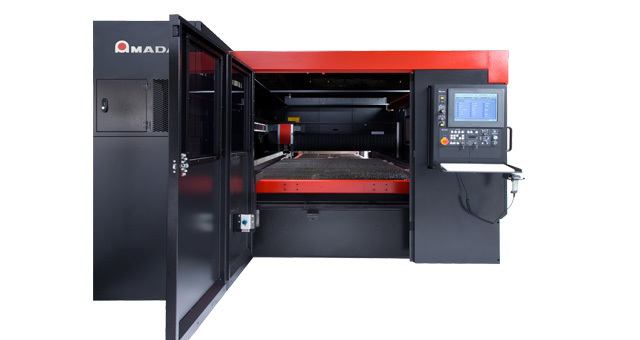 Coupled with short lead times and zero tooling costs, laser cutting is a highly attractive and economical means of profiling sheet metal and plate. Our laser is highly Tunes, Direct Drive 3.5 kW CO2 LCG 3015 and is the latest CO2 line of laser machines. It has top cut quality, machine accuracy, and overall expandability. It has a cutting edge resonator and an advanced motion system. The LCG is a true flying optic laser system — the material remains stationary as the cutting head moves in all three axes (X, Y & Z) to process the sheet. This translates into faster overall production and more accurate parts at higher cutting speeds. Additionally, this it is fully automated with a variety of material handling options and is equipped with a shuttle table system. The cutting head is propelled by a high-dynamic motion system that achieves the accelerations and rapid traverse speeds of limited to only the very top of the line linear drive motion systems. 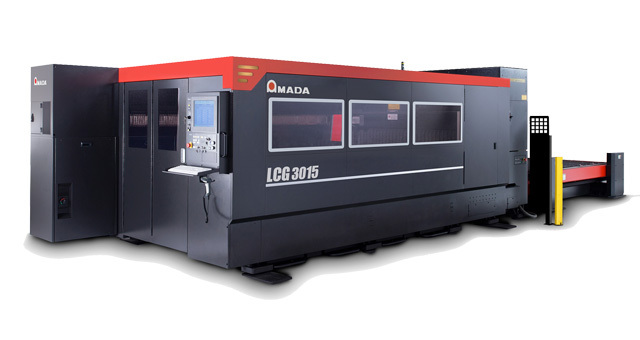 With an advanced 3.5kW CO2 Amada/Fanuc resonator, the LCG is a high-end, high-production laser system for the thin to mid-thick material market. Sheet Size up to 60"x120"